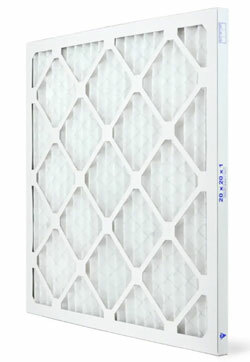 The custom made dust reducing M8 filter is a durable, high performance filter made to your exact specifications. A heavy duty beverage board frame and reinforced metal support grid offer durability and long service life. Heavy Duty, Premium Grade. Rated MERV 8. Lasts 90 days. Custom Made Instructions: Only the width and length can be custom made. The depth is manufactured according to industry standards, therefore enter either a 1 or 2 in the depth box.The width and length will be made to your exact specifications, within a tolerance of © 1/8", so please enter the exact actual width and length of the filter. For more information on the Custom M8 filter, please click here. Custom Made Instructions: Only the width and length can be custom made. The depth is manufactured according to industry standards, therefore enter either a 1 or 2 in the depth box. and 1 in the "Depth" box. Enter your filter information below. Click on "Calculate Filter Cost". If you make a mistake click on "Clear" and re-enter your measurements then click on "Calculate Filter Cost" again. Now, click on "Next" to continue.